Located in town and a 10 minutes walk to Lasseters Wharf Casino and Lake Wakatipu, Lofts Apartments have a private balcony or patio and a full kitchen. Guests have access to a sauna and ski storage facilities. 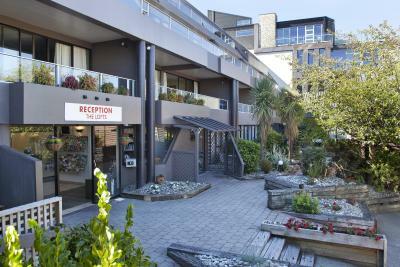 Lofts Apartments are a 15-minute walk from Queenstown Gardens. Each apartment has a microwave, refrigerator and tea and coffee maker is standard in all apartments. Each apartment is heated, and has satellite TV. Some apartments also offer stunning lake and mountain views. Lofts Apartments has self catering apartments from studios to 3 bedroom units. Offering stunning views of Lake Wakatipu and the Remarkables Mountains, Rydges Lakeland Resort features a sauna, hot tub and swimming pool. All rooms come with free parking and satellite TV. Rydges Lakeland Resort Queenstown is on the shores of Lake Wakatipu, just a 10 minute walk from the heart of Queenstown. The rooms all include private bathrooms, a refrigerator and tea/coffee-making facilities. Many rooms also have a flat-screen TV and panoramic views of the lake. Ben Lomond Restaurant serves contemporary New Zealand cuisine, and features excellent views of Lake Wakatipu. Fireside Bar provides drinks in a relaxed atmosphere, with 3 fireplaces and a large outdoor deck. Guests can watch the sun set over the mountains and lake from the hotel terrace. Rydges Lakeland also features barbecue facilities, in-room massages and dry cleaning services. 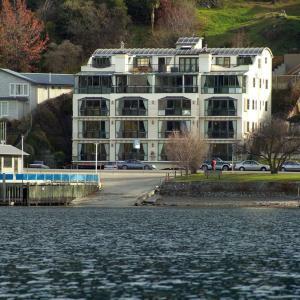 A 3-minute walk from central Queenstown, Lakefront Apartments feature self-contained 2 and 3 bedroom apartment accommodation with stunning views of Lake Wakatipu and the surrounding mountains. Free on-site parking is provided. All apartments have a full kitchen with a dishwasher, a stove, kitchenware and an oven. Amenities include laundry facilities, a DVD player and satellite TV. The private bathrooms provide free toiletries, a hairdryer and a bathtub. The staff at the tour desk can assist with arranging local activities like jet boating, bungee jumping, kayaking, lake cruises, skiing and wine tours. 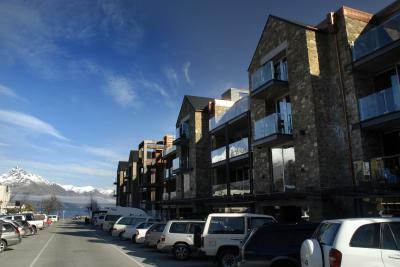 Lakefront Apartments Queenstown is a 10-minute walk from Queenstown Gondola and Queenstown Gardens. A 3 walk from the town centre, the Crowne Plaza Queenstown is in a fantastic central location, overlooking Lake Wakatipu and The Remarkables mountain range. All rooms have private balcony or courtyard access, and guests receive 45-minutes of free Wi-Fi per device, per day. The Crowne Plaza has well-furnished, contemporary and spacious rooms. The rooms have large sitting areas and satellite TV. Every room includes views of Lake Wakatipu, the mountains or the private courtyard. The on-site restaurant, threesixty, serves international cuisine and overlooks the stunning Lake Wakatipu through floor-to-ceiling windows. Sit back and enjoy a locally renowned Central Otago Pinot Noir in the comfortable lounge and bar area. 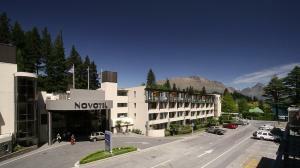 Situated on the shores of beautiful Lake Wakatipu, Novotel Queenstown Lakeside offers superb views of the mountains and peaceful surrounding grounds. Guests enjoy access to a jacuzzi, bar and restaurant. Each spacious room includes a private balcony and a private bathroom with bathtub or shower. All rooms feature a work area, LCD TV with pay-per-view movies and broadband internet access. Elements Restaurant offers fresh seasonal cuisine and views of the lake, town or courtyard. Guests can also enjoy a drink in the charming courtyard or next to the fireplace in the hotel's cafe-bar. Located in the center of Queenstown, Novotel Lakeside is set beside a beautiful rose garden, adding colour to the stunning views. It is a 10-minute walk to the Skyline Gondola. Millennium Hotel Queenstown is in central Queenstown. The hotel is a short walk to the local shopping and entertainment areas. It offers spacious, elegant rooms featuring marble bathrooms. All rooms at Millennium Rooms are air-conditioned with separate seating areas and writing desks. Guests receive complimentary bathroom amenities during their stay. The hotel's Observatory restaurant offers a modern New Zealand cuisine while the Club Bar can be the perfect place to relax at the end of the day. Each day, guests can access 20 minutes of free Wi-Fi in the lobby. Just 3 minutes' walk from central Queenstown, this stylish European-inspired hotel offers free Wi-Fi, free gourmet breakfast and free parking. There is a guest lounge with a fireplace and a DVD library. Each spacious room has French doors opening onto a private Juliet balcony, offering views of the lake and The Remarkables mountain range. Hotel facilities include a guest computer, luggage storage and a ski equipment drying room. Browns Boutique Hotel is just 2 minutes' walk from shops and restaurants and 5 minutes' walk from Skyline Gondola and the historic TSS Earnslaw steamship. Coronet Peak and the Remarkables ski fields are a 40 minutes' drive away. Offering a warm relaxed ambience, combined with genuine New Zealand hospitality, Browns Boutique Hotel Queenstown is superbly situated in a quiet location overlooking the town. Just 5 walks from town centre with views overlooking Lake Wakatipu and The Remarkables mountain range, the Hotel St Moritz Queenstown features a restaurant, bar, fitness center and garden with hot tub. The Hotel St Moritz offers hotel room, 1 and 2 bedroom self contained hotel suites furnished with modern essentials, including a 40-inch LCD TV, iPod docking station, in-room movies, reading chairs, writing desk, tea/coffee-making facilities and a minibar and satellite TV. Lombardi Restaurant features a brasserie-style dining room and offers superb views of the lake, mountains and town centre. Guests can enjoy wine, cocktails and other drinks at Lombardi Bar. BreakFree Waterfront offers self contained studio, 1 and 2 bedroom apartment accommodations with gorgeous views of Lake Wakatipu and Remarkables Mountains. All apartments feature kitchen facilities, satellite TV and a DVD player. Central Queenstown is just 5 minutes walk away. Each apartment is equipped with a microwave and refrigerator, and most rooms also have laundry facilities. BreakFree Waterfront offers a guest laundry and ski storage facilities. The tour desk can provide sightseeing advice and help guests with travel arrangements. BreakFree Waterfront is located only a 5 minute walk from Skycity Casino. Featuring views of Lake Wakatipu, YHA Queenstown Central offers affordable accommodation with a guest kitchen and a dining area. 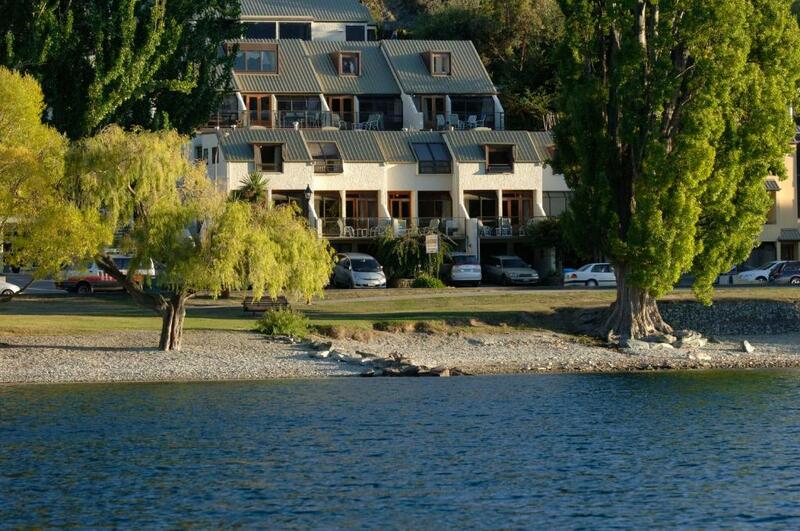 Located in central Queenstown, this lakefront property is close to bars, cafes and restaurants. YHA Queens town has dorm and private rooms with own shower and toilet. Guest rooms are heated and fitted with a TV, linen and a work desk. Guest laundry facilities are provided. The staff at the tour desk can assist in booking sightseeing trips in Queenstown and surrounding region. Close to Queenstown inter-regional and long distance bus/coach terminal, Sir Cedrics Tahuna Pod Hostel is the first of its kind in New Zealand. The property merges Maori heritage and traditional values in its design, and shares culture with guests through art, music, movies, food and entertainment. Guests enjoy access to a range of common areas including a TV lounge, dining area, kitchen, airy atrium and a large balcony/BBQ area with views over Queenstown. There are many couches and seating areas throughout the property, where you can socialise with fellow travlers or find a cosy corner to relax. Guests have access to shared bathroom facilities, with multiple facilities located on each floor. 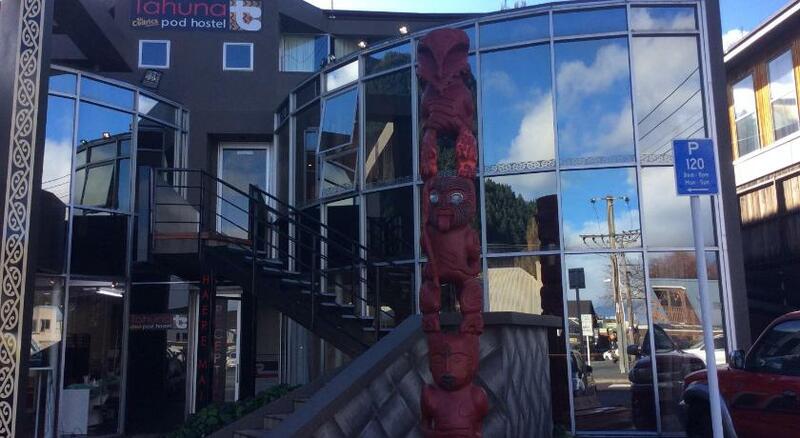 Tahuna Pod Hostel is located in the heart of Queenstown, within a 5-minute walk from a number of bars and restaurants. BASE Queenstown is the most centrally located hostel in Queenstown. It offers luxury budget accommodations, with amazing alpine and lake views and high-quality facilities. It is open 24-hours per day. The hostel offers affordable, fully made-up beds. All rooms have adjoining bathrooms, refrigerators, and heating. There is a female-only dormitory. BASE Queenstown’s bar and cafe is a popular venue for viewing sports games, with 10 TVs and one giant screen. There is an open fireplace, Wi-Fi connection and Global Gossip internet facilities. Queenstown provides excellent touring, hiking and skiing opportunities. You can also go bungy jumping, jet boating and wine tasting. BASE Queenstown is 5 minutes from the lake. It is surrounded by shops, restaurants and bars. Nomad's Queenstown Backpackers is ideally located in the heart of Queenstown, in New Zealand's popular South Island vacation city. Designed for all budget travelers, this purpose built backpackers hostel has a variety of room types from small and large dorms, with or without attached bathrooms, to private rooms with private, attached bathrooms, and wide screen Sky satellite TV. All dorm rooms at Nomads Queenstown Backpackers have storage lockers and hanging space. Many of the rooms have balconies with views of mountains or Lake Wakatipu. Nomads Queenstown is a short walk to bars, cafes and restaurants. Located on the lakefront in the centre of Queenstown, Absoloot Value Accommodation offers rooms with private bathrooms. Wi-Fi access is available. Absoloot Value Accommodation offers a choice of private ensuite rooms and dormitories. Every room has a private bathroom and security card entry. All guests have access to a communal kitchen and laundry facilities. Guest access and security are provided 24 hours a day. Guests can use the games rooms with satellite TV. There is also a tour desk that can arrange a number of adventure activities.